I don’t know about you, but I love to “read” cookbooks. Pencil in hand I start at page one and go through the entire book putting a small check by recipes I want to try. 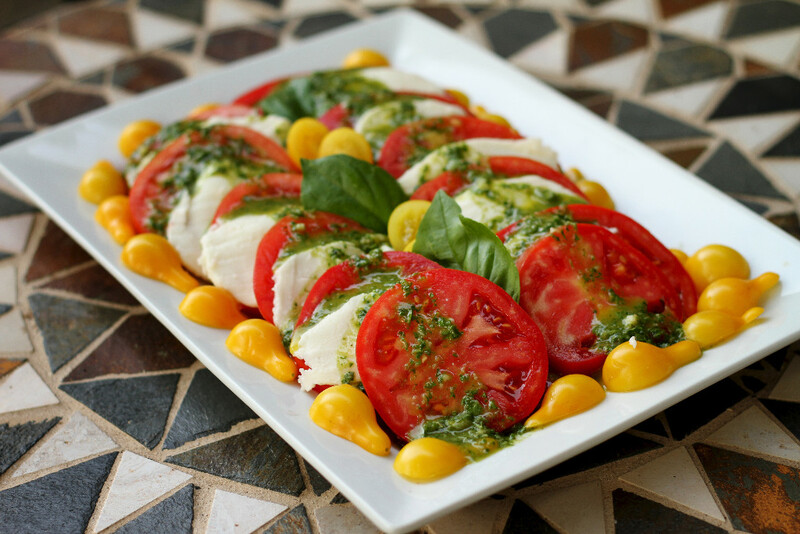 Then, when I’m ready to cook, I just look for the “checks of approval” and I’m ready to try something new! Preparing for guests last night we were in the mood for chicken so I decided to try one of the recipes I’d marked from the first Renee’s Garden cookbook, Recipes From A Kitchen Garden. 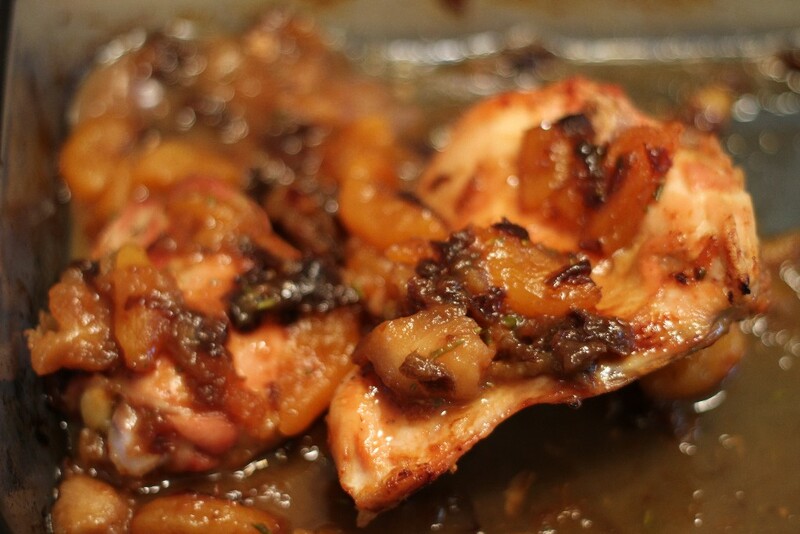 I found one I’d marked using rosemary, which I love with chicken, “Glazed Fruited Chicken with Rosemary”. There’s just something very satisfying about walking out into the garden to clip your own fresh herbs to use in the kitchen. 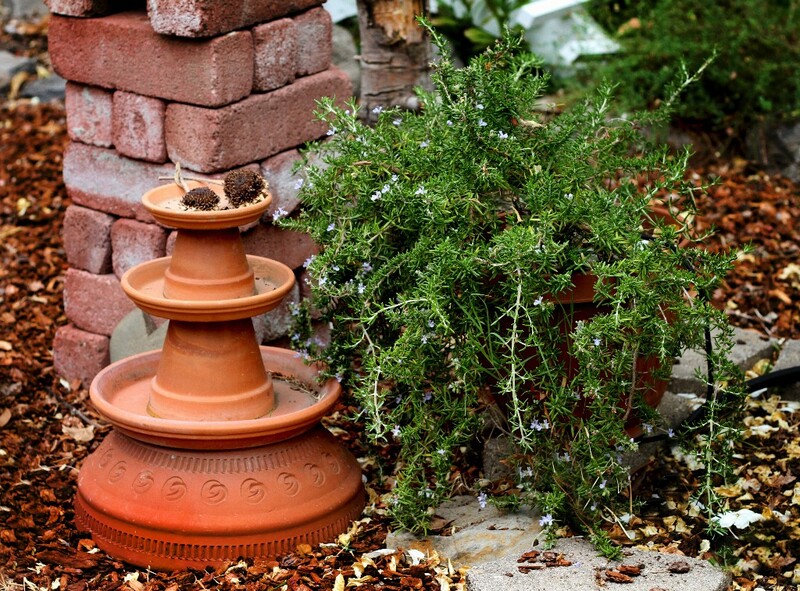 A little container full goes a long way when you grow rosemary. The recipe was under the “Herb” section and very easy to follow. First, I baked some chicken thighs and breasts. While they baked I mixed up an awesome sauce of water, wine, honey, rosemary, along with dried prunes and apricot and some fresh apple. Simmered together it made the most delicious tasting (and smelling) sauce I’ve ever tasted! 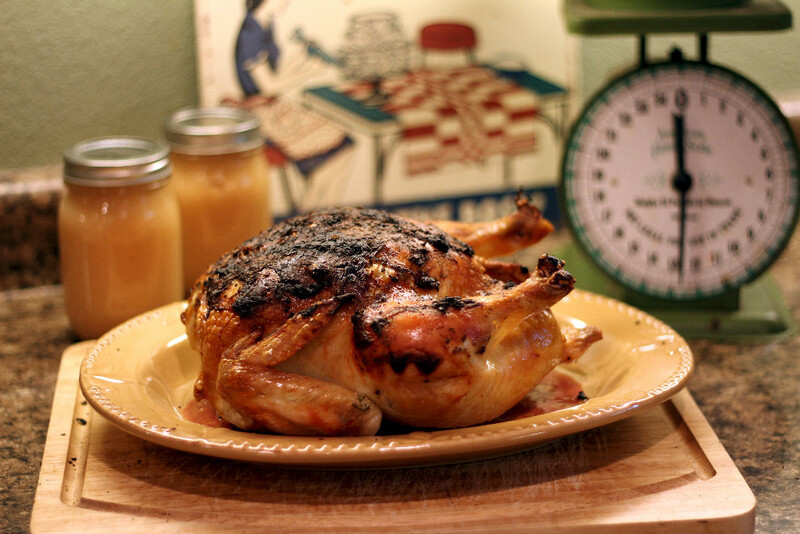 Poured over the chicken and baked a little longer it created a beautiful and really, really, good glaze …it’s going to be a family favorite! I couldn’t end without trying a dessert recipe so I made Lemon Thyme Bread from Recipes From a Kitchen Garden and took it to the office. It was a hit! 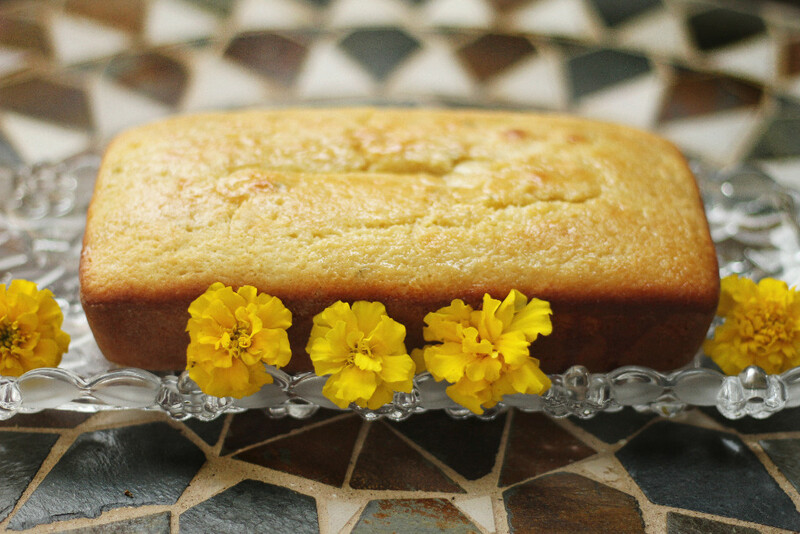 Lemon thyme from the garden, fresh lemon juice and zest, baked in a wonderful flavorful loaf and topped with a lemon sugar glaze…oh it was good! 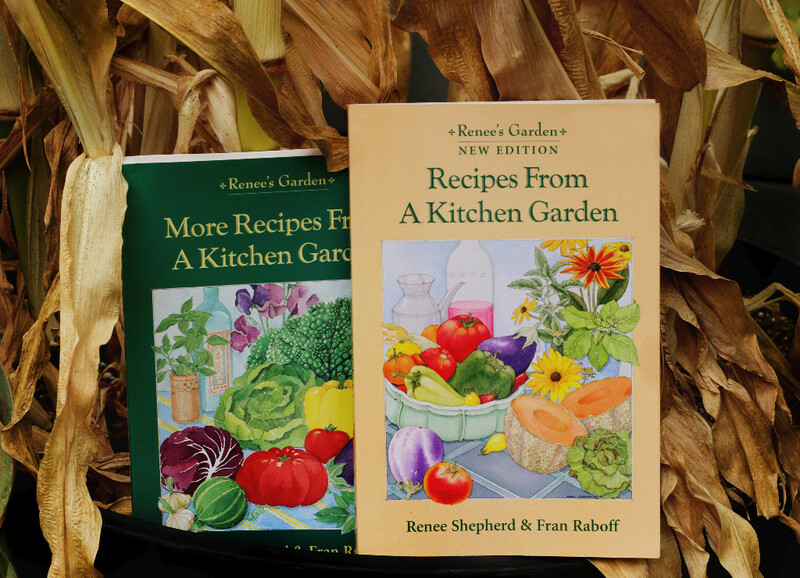 These books are both stuffed full of recipes that are just perfect for all your garden fare! You can purchase both of them here. 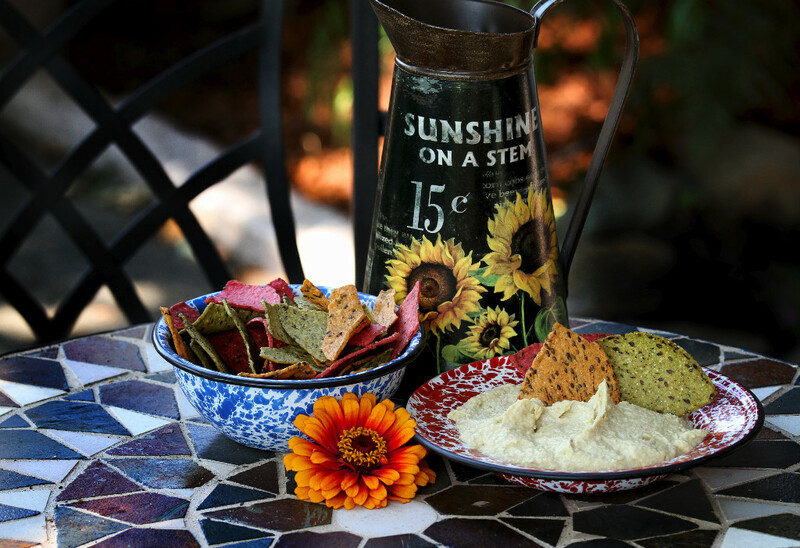 There are also a few recipes there you can print and try! Just to keep it real: I received complimentary copies to review ,but those who know me know I always speak my mind and speak the truth (which often gets me into trouble), however, in this case it’s a good thing…..they really are great cookbooks! A special request: If you enjoy our posts please sign up to receive new posts by email, since Facebook only shows page posts to about 17% of all those who request to follow that way! Thanks!